I have been “lurking” on The Fretboard for a very, very long time and never had the confidence to dive in and get involved with the forum. Having chatted to a few of the guys on the FB stand at the Birmingham Guitar Show in Feb, it’s time I got stuck in. My name is Ed and I run Six String Supplies - what started as hobby has evolved into a business. 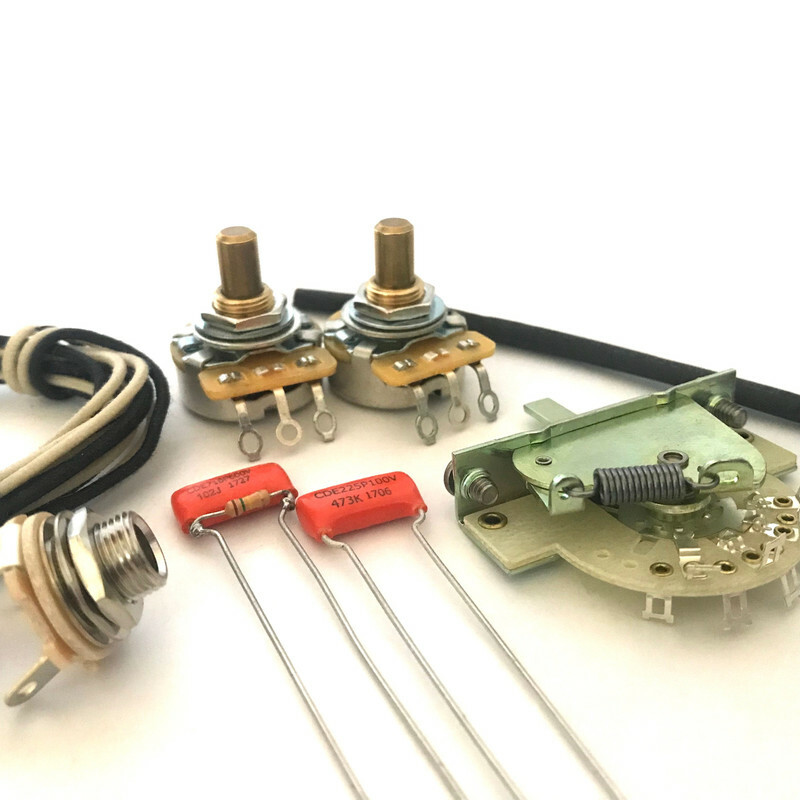 Six String Supplies deals in Guitar electronics - wiring kits, prewired harnesses and individual components. Very niche I know but I can’t compete with other suppliers who literally sell every single guitar part imaginable under the sun. May as well stick to what you know eh? 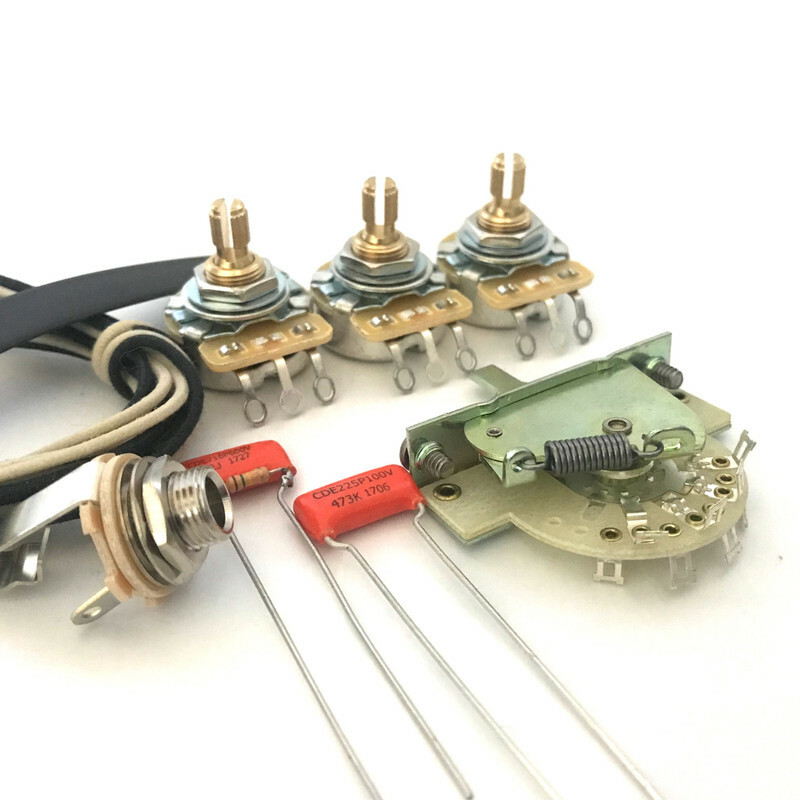 We sell high quality individual electronic components, unassembled wiring kits and prewired kits for those without the confidence to solder themselves. we have a range of wiring guides and video tutorials on our website with the aim of showing others how to wire the kits themselves (it saves me having to solder them!) and most of our organic website traffic comes from people searching how to wire a particular guitar. Yes, it’s ultimately a business - but our website has a lot of free information. The business started out just from pure passion and has been growing steadily the past few months. industry is full of it but ultimately believe that good quality electronics can make a big difference to your guitar. Switchcraft/CRL etc...the normal jazz. I’ll periodically update this thread with photos of my work and bits and bobs. Today I've been working on a Jimmy Page style harness order for an Epiphone Les Paul. 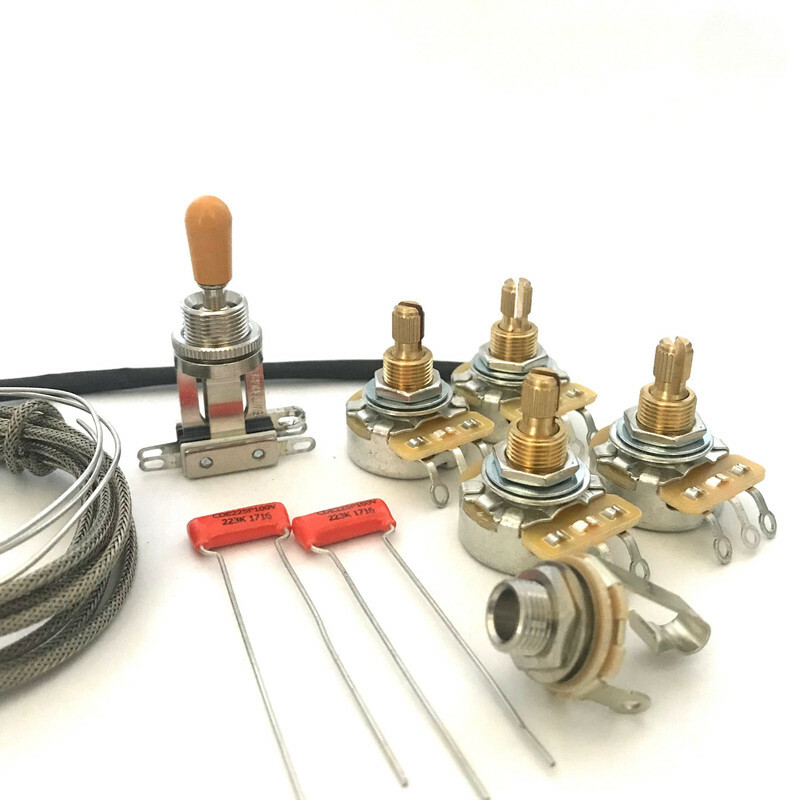 The kit allows multiple options including coil splitting and out of phase switching. There is probably too much available to use in a live situation having to faff around with 4 push pull pots but it seems popular enough. I tend to leave colour coded pickup "pigtails" on the harness so when it comes to installing you simply solder your pickup wire to the pigtail......otherwise getting your pickups in when it is sat in the control cavity is a right ballache. I really enjoy wiring these kits.....but sometimes they can take a couple of hours to fully wire and pack and it can get a wee bit tedious. A tip - put a clickable link to your website in your signature. Makes it easy for people to find you on the www. Hi mate - apologies....I don’t remember. Most of last year’s show went right over my head: I am so bad with names and I was all on my own on the stand...as I will be this year. Pop on the stand this year I’ll sort you out some plectrums and what not. Cheers! The standard circuit for Lucem models incorporates a master volume in series as well as individual tone/volume controls for each pickup. Each volume control splits each humbucker. I'm a very big fan of his work (regardless of the fact he's a customer) but its great to see UK builders pushing the boundaries and designing unique shaped guitars. I genuinely believe we are truly spoilt for choice at the moment in the UK market with custom guitars....and pickups obviously. Lucem do a Nick McCabe (The Verve) signature so I was naturally thrilled to contribute. It's a fairly weird circuit....non-standard shall we say. Got the hakko soldering station in the black Friday sales in November - what a steal...and worthy investment. The above photos of the guitar don't do it justice as I've just screenshotted instragram....but if you look at his Facebook page, you see the whole thing in its beauty. I appreciate this is probably boring AF for many members - but I love it!! Cheers Ed - hoping to get there again this year, can't blame you for not remembering one person among hundreds! For those of you who love building partscasters. 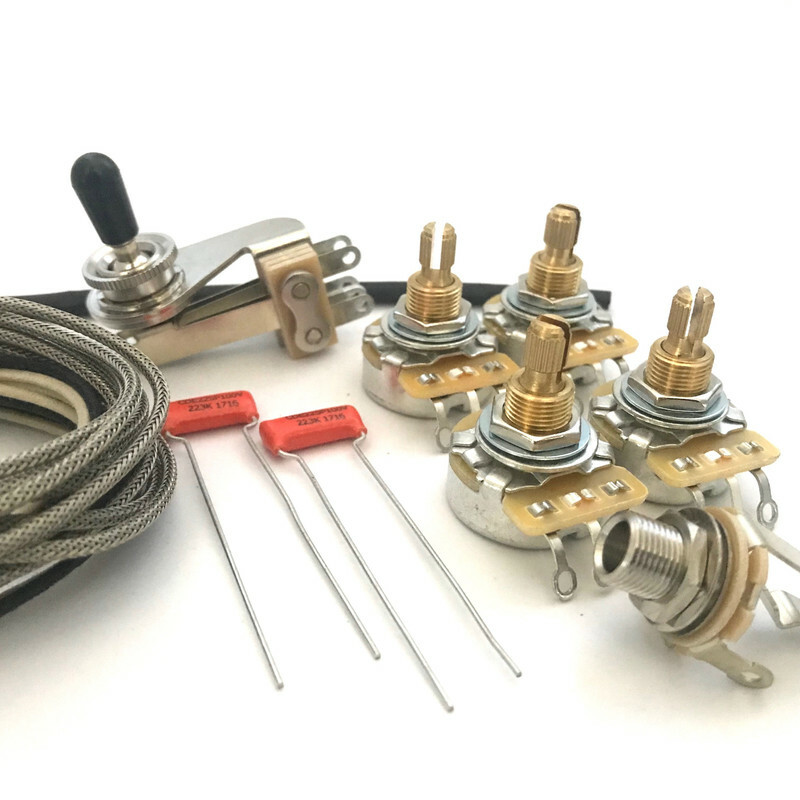 Premium wiring kits for those DIY enthusiasts. Push back cloth wire/braided guitar wire. Each guide includes photo step by step guide and a video on how to wire it up. Playing catch up after one hell of a busy period sandwiched between a house move and a guitar show in the space of 3 days. Few prewired kits that left earlier today. Classic Strat with treble pass capacitor on the volume. and everyone's favourite and my soon to be enemy - Jimmy Page Les Paul. Love the neatness of the wiring, and the "no mm wasted" approach! Haha thanks. Yes whilst I love the CTS push pull pots, getting four of them in a Les Paul wth all the wiring can be a PITA. Ed’s work is absolutely brilliant. Once I get the Junior stripped down I’m going to do away with the clip in wiring nonsense and get a new wiring setup from our man here. Just received and installed the Jimmy Page pre-wired assembly (and also the 3 way switch) into my recently acquired 2002 LP standard. I'd rate myself as 60% proficient with a soldering iron - but even I managed to get the job done with only the merest whiff of scorched laquer from one inadvertent dab of the iron tip to the guitar body! One small thing I'd ask you to consider for that assembly Ed is that it would be great for the not so great solderers if you devised some sort of grounding tails or legs from both the Vol pots and maybe the bridge tone pot. Once the assembly is in place, the plastic covers on the lower pot on the DP pots gets in the way when trying to solder/ground the tailpiece ground wire to the BV pot, the pickup bare wires (both Vol pots) and the output jack ground (bridge tone pot). From that point on it was really easy to hook it all up 'from the top' with everything solidly anchored in place. I've a good sounding 50's wired LP now with all the Page #2 options should I feel like it. I'd have likely given up trying to wire that assembly myself from scratch - really neat and handy job there Ed. I highly recommend Ed/Six String Supplies! @maxdown many thanks Max glad you like it. yes I understand the point you make above - I’ve recently filmed a video for the YouTube channel on how to install this harness (I have wired so many of these kits) but only actually installed one in a guitar once so I didn’t appreciate how difficult it can be to ground the bridge and pickups so the sides of the push pull pots until very recently. im looking at making the whole thing sodlerless but it’s taking a lot of time/research and sourcing. i can look at putting tails in for grounding but then it starts to look incredibly messy and like spaghetti junction. It is still a work in progress, and they will never be my "main" product so to say, but I have started offering a few solder-less kits, currently only for your typical F-style models.....and currently only T-type and bass models.